Below are some examples of what I will be providing you throughout design time. 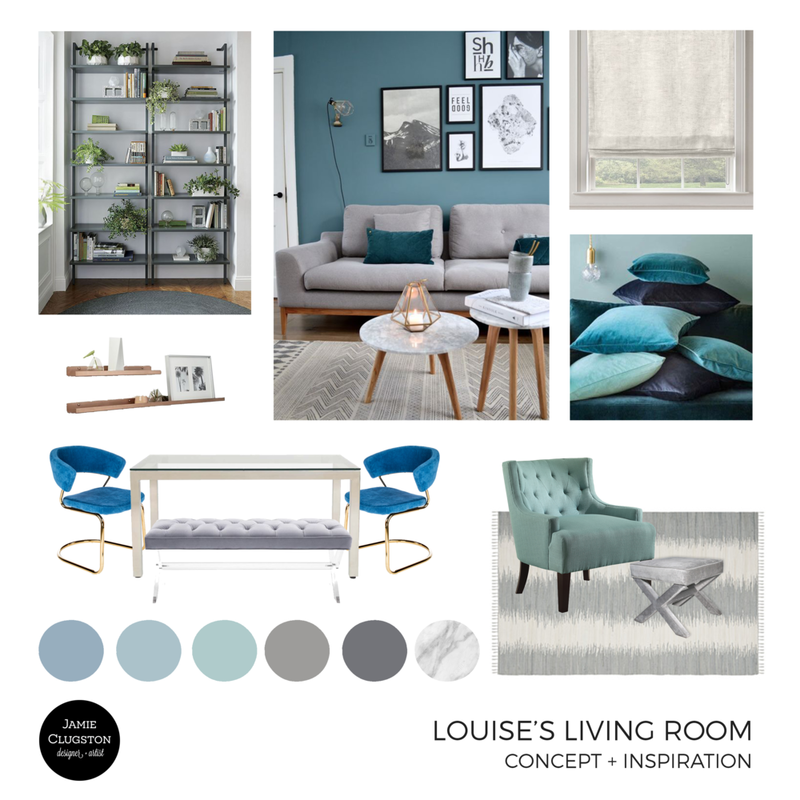 These are simple boards filled with inspiration images, color schemes and furniture peices I'm leaning towards for your design. 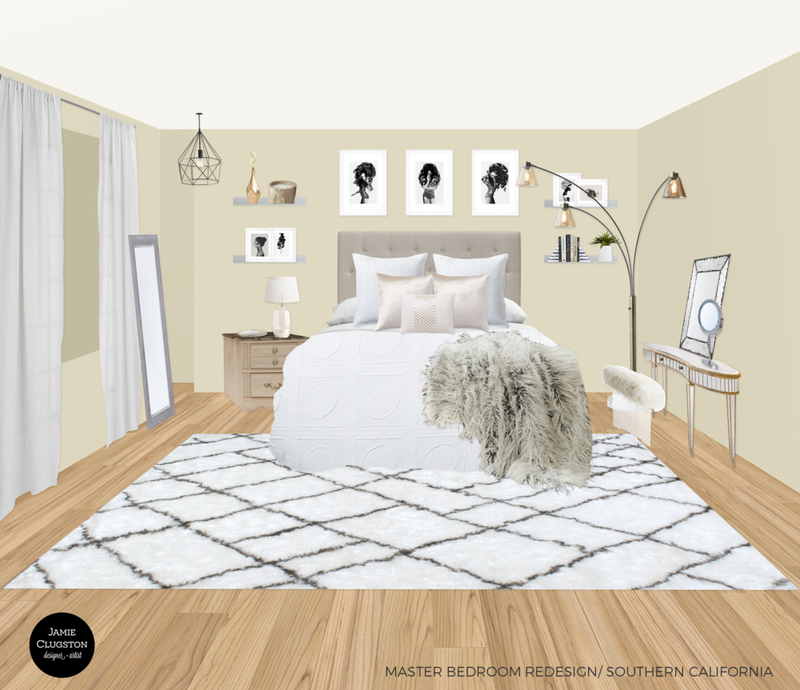 These are digitally designed room mock-ups with proposed furniture, decor, and finish selections placed in the room to give you an idea of what they will look like once ordered. 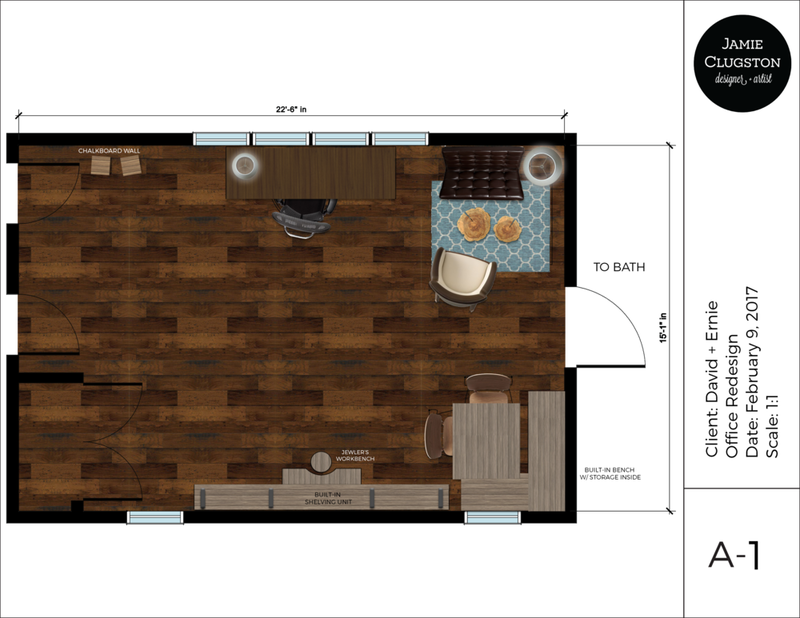 Floorplans give me and other tradespeople an accurate look at what we are working with. 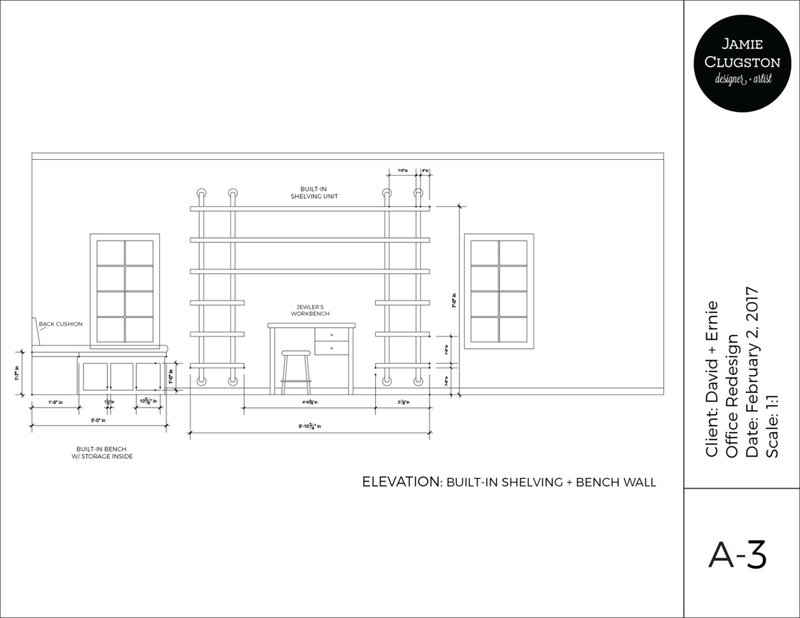 Shown above is a furniture plan and a rendered furniture plan, which clients find helpful. 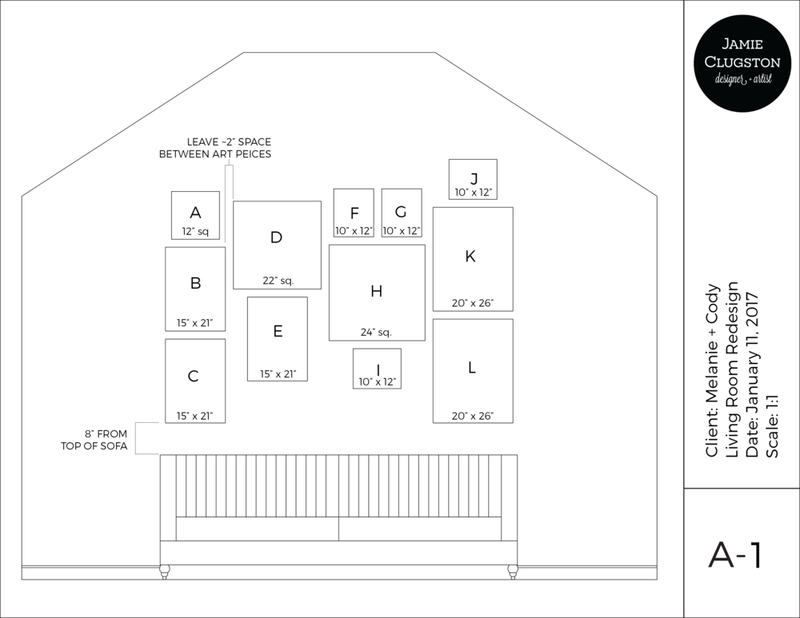 Elevations are single wall plans that help clarify design intent. These drawings are often used to show details like art and built-ins.